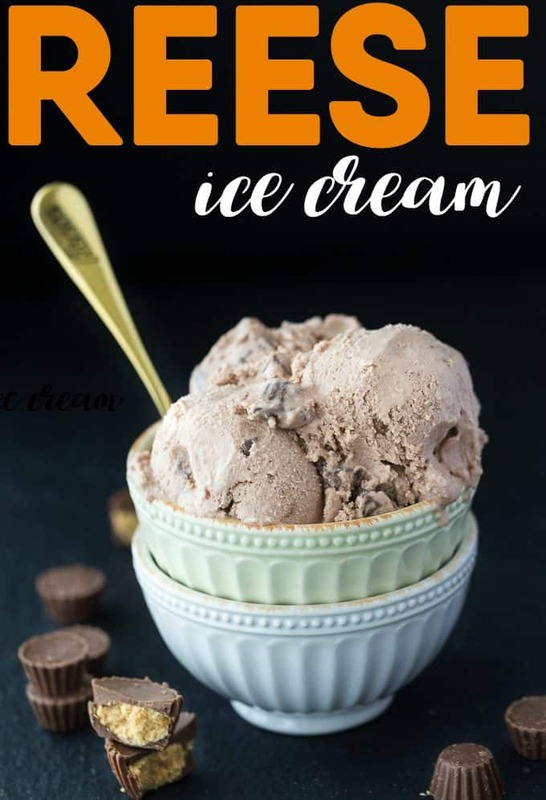 This Reese Ice Cream is creamy, smooth and packed full of yummy REESE flavour that we all know and love. I’m a little obsessed with my new ice cream maker. In fact, it’s so much that I’m running out of room in my teeny tiny freezer. I keep meaning to buy a deep freezer, but then unexpected expenses keep coming up for me that take precedent. Dang furnace! For this ice cream, I used REESE Spread and REESE Peanut Butter Cups. Side note – It’s called REESE in Canada, not Reese’s. I’m not really sure why, but just in case you are thinking I’m saying it wrong. The peanut butter cups go into the ice cream maker during the last five minutes of churning. That way, you’ll still have recognizable chunks when you go to eat a bowl. It’s creamy, smooth and packed full of yummy REESE flavour that we all know and love. I know it’s not summer, but I think ice cream can be enjoyed any time of year. 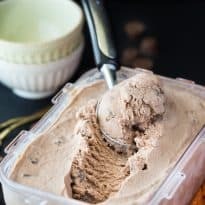 For more ice cream recipes, try my Vanilla Bean Ice Cream, Mint Chocolate Chip Ice Cream, Homemade Vanilla Ice Cream and Toasted Marshmallow Ice Cream. Do you ever make your own ice cream? Creamy, smooth and packed full of yummy REESE flavour that we all know and love. Stir the REESE spread and sugar to combine in a mixing bowl. Add milk and mix on low speed for 2 minutes. Stir in table cream and vanilla. Place the mixture into your ice cream maker. Mix in the ice cream maker for 25 minutes. Add in mini REESE Peanut Butter Cups and continue to mix in the ice cream maker for another 5 minutes. 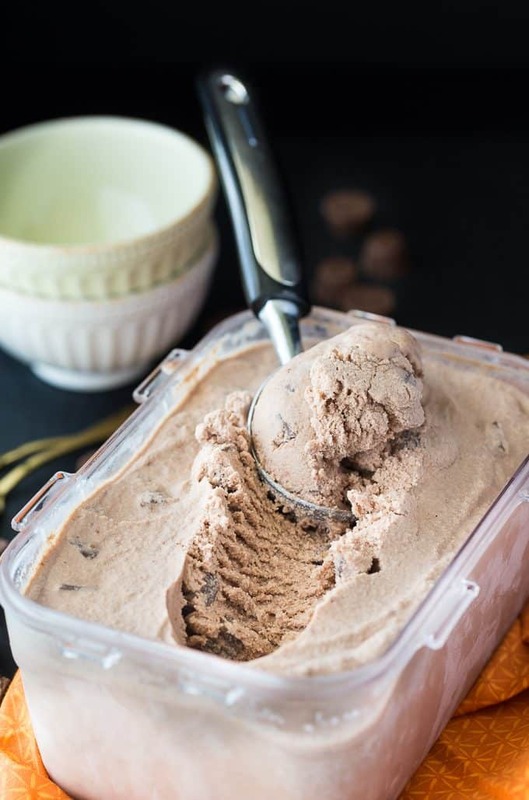 Remove ice cream and place in a freezer safe container. Place in the freezer for at least 2 hours before serving. 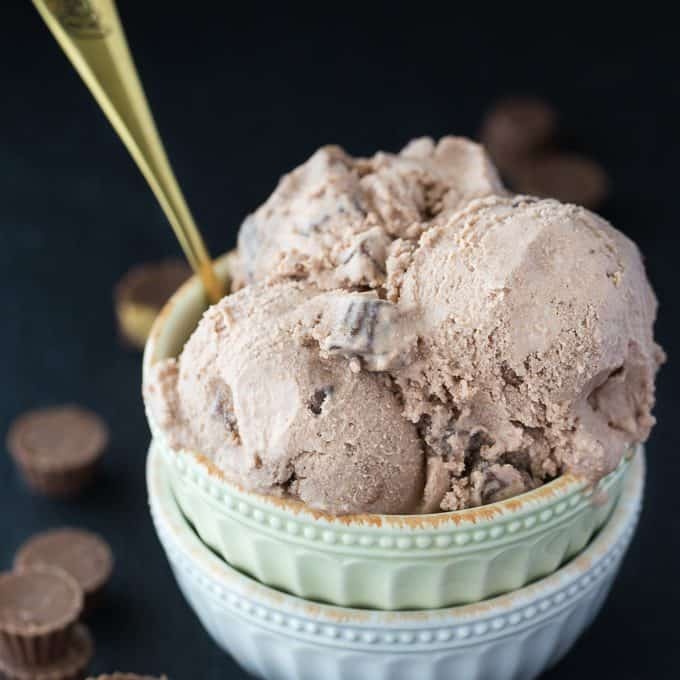 This ice cream looks amazing and I love Reese peanut butter cups and I have never had them in ice cream. I want to make this ice cream. It looks delicious! I’m soo addicted to Reeses Pieces so this ice cream might become my number 1 favorite ever!!!! This looks like the most amazing ice cream ever. Of course ice cream is a year round treat. Who needs hot weather for it? I love Reese’s (reese) peanut butter cups. Oh yum! I love Reese – there’s just something about that combo! Really looking forward to making this – thanks for your post. Looks yummy! 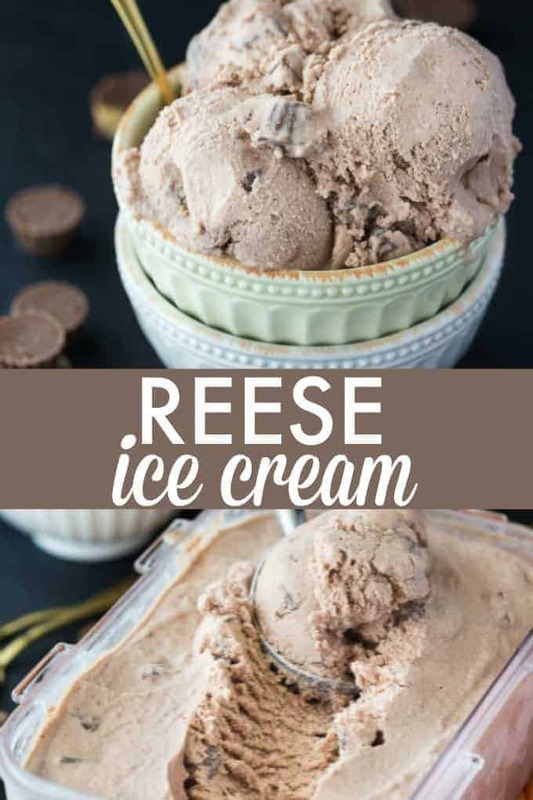 Homemade Reese’s ice cream?! Love it! I don’t think I would be able to stop eating that. I read your recipe for Reese Ice Cream and then I saved it to my favorites. It sounds so delicious that I know it will be a big hit for a family occasion. Thank you so much for this and the other recipes you post for us.